Last week, it was pretty quite on the blog. Not because we didn't have anything to share. We are working on final, finishing touches for TX Text Control X11 and the new HTML5 based Web editor and template designer. 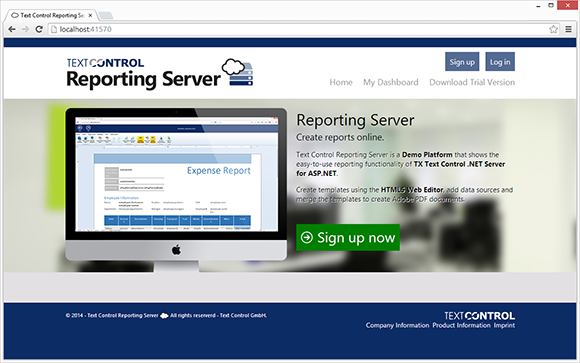 Today, I would like to share some preview screenshots of a new demo platform we created for TX Text Control X11: Text Control Reporting Server. 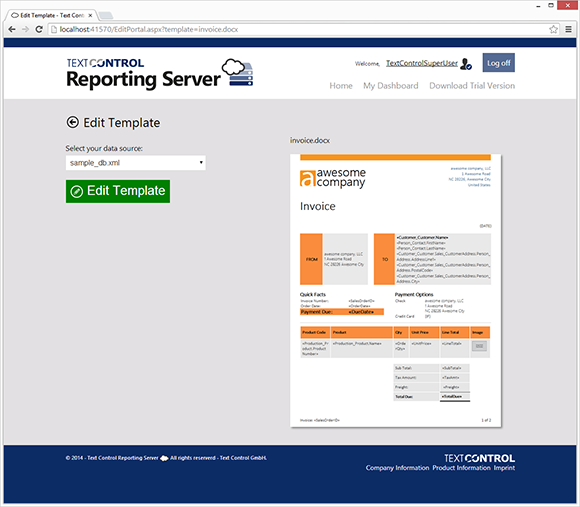 This sample project covers the complete reporting process from the template creation using the new HTML5 based TX Text Control to preview and merge features. 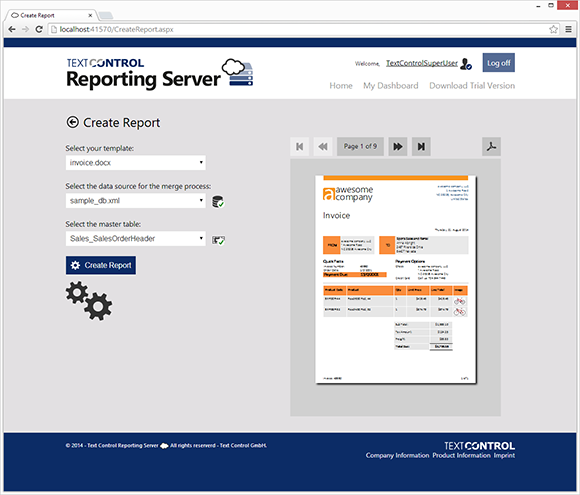 After creating a new account, users can access the My Dashboard area that lists all templates and data sources. 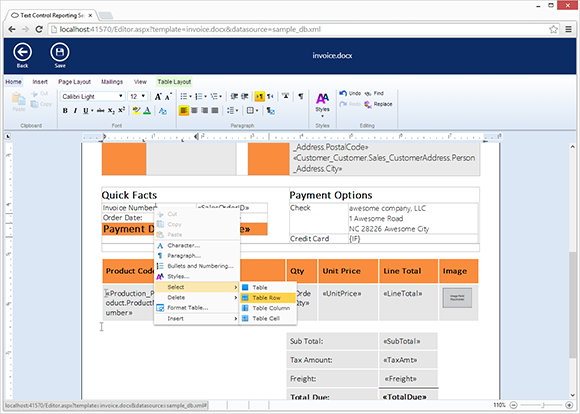 Templates can be created, uploaded or deleted from the dashboard interface. On clicking the button Open, a preview of the template is shown. Existing templates can be edited directly in the Web application using the new HTML5 based TX Text Control that is opened when choosing Edit Template. 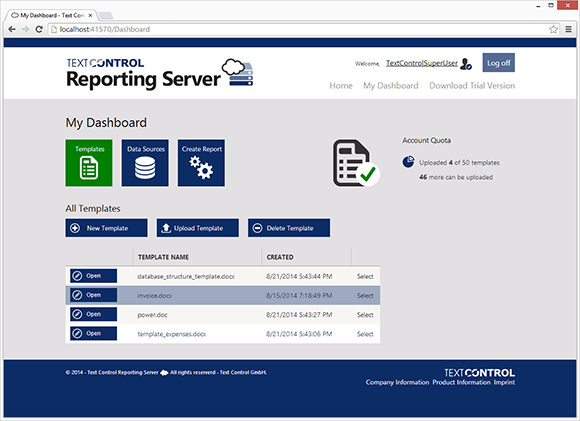 This demo platform uses available components and controls from TX Text Control X11 and will be available with full sources and can be reused in your own Web applications. Stay tuned for more!